Power Box D12 - powered speaker system. Class D power amplifier, switching power supply, XLR balanced microphone and line inputs in parallel with balanced Jack and stereo RCA connectors. Tone control. Clip, signal and power indicators. 12” woofer and 1.5” tweeter, passive crossover. Plastic cabinet with hanging support eyelets, pole socket for speaker stand. Amplifier power 150W, frequency response 60 - 20000Hz. Black colour. 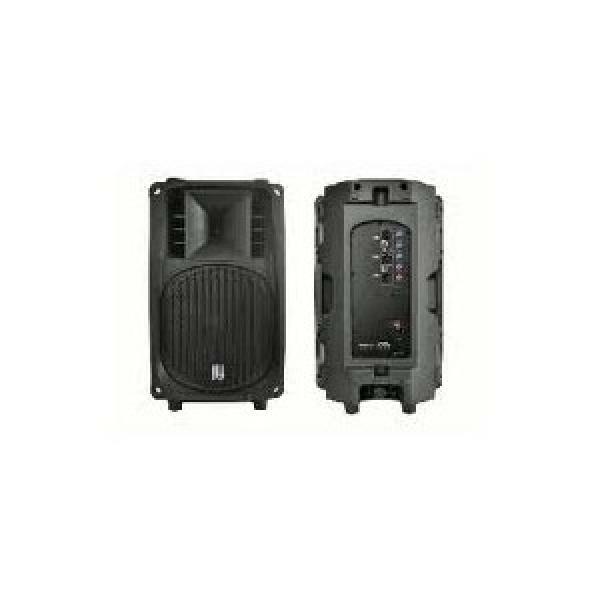 Power Box D12 is designed for live music and installed sound.